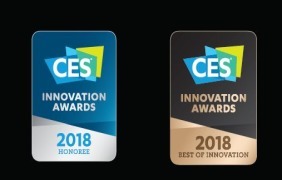 Amaryllo two new products: AR4 and AR5 both won the 2018 CES Innovation Awards marking Amaryllo the CES Innovation Award winner four years in a row. 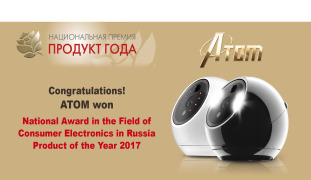 National Award in the field of consumer electronics in Russia "Product of the Year"
ATOM won National Award in the field of consumer electronics in Russia "Product of the Year." 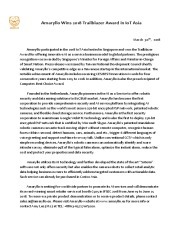 Amaryllo was honored with Google WebRTC World PRODUCT OF THE YEAR. the Cool Vendor selected by Gartner in Connected Home 2014. 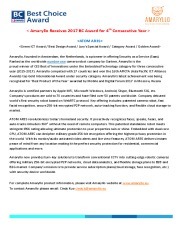 Gartner, the dominant American research and advisory firm, selected Amaryllo as the Cool Vendor in Connected Home 2014.